Will Your Semitism (Or Lack Thereof) Impact Your Barneys Shopping? So now that Barneys New York is owned by a Dubai-based investment firm, some (er, Lauren Goldstein Crowe of Portfolio's 'Fashion, Inc'. blog) are convinced that luxury-minded Jews are going to take their business to other luxury department stores because no way in hell will they fund something owned by, you know, Arabs. (Oh wait, Jews don't believe in hell!). But is it really an issue? After all, Saks Fifth Avenue was once owned by like a flock of Saudi princes, and Harrods is owned by the al-Fayeds. 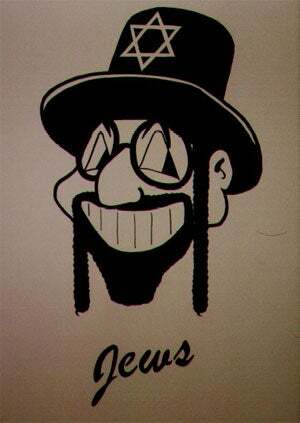 And both companies are not only doing fine but surely enjoy the continued support of their Jewish brethren. So Jennifer Gerson (the token Jewish Jezebel, and the one responsible for the above graphic, which she thinks is funny and Anna thinks is horrific) decided to investigate this matter all on her own with a most urgent question: Will your Jewishness (or lack thereof) impact your Barneys shopping experience? Her really non-stereotypical poll, after the jump.